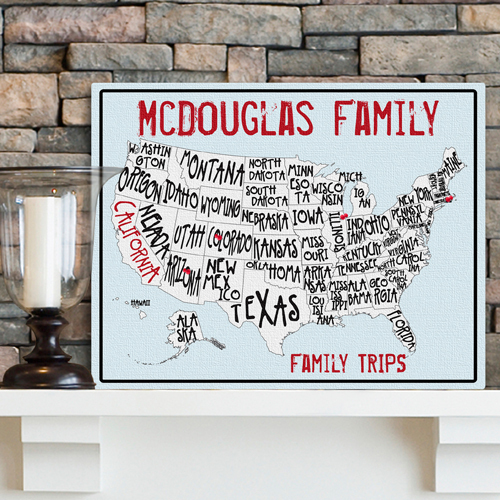 * Keep track of your memorable trips with one of our Personalized Americana Family Map Canvas prints! 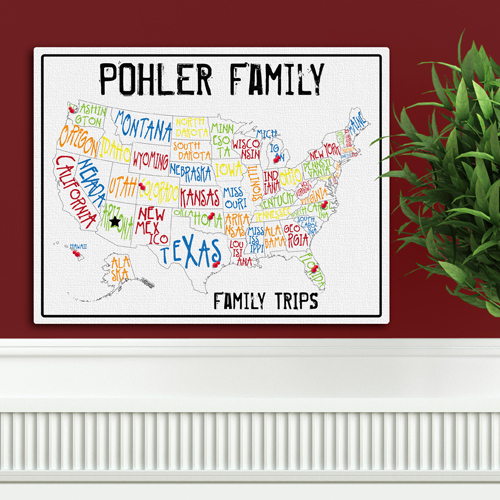 * Hang it on the wall and use the red travel markers (included) to mark the fun places you've traveled together. 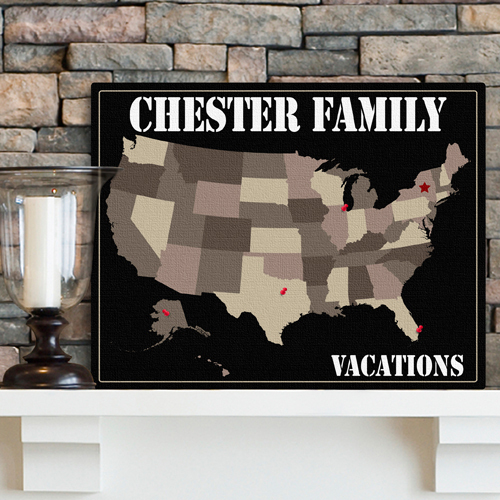 * Your home state is highlighted - marking from where all of your great trips begin. * Choose from 4 different U.S. maps. * Measures 14" x 18" x 1 1/8". * Personalize with two lines of up to 25 characters per line. * Special Notice: Printed products take 2-3 business days. 18" x 14" x 1.125"